Home > AMT Blog > Get Ready to Come “Home for the Holidays” with The 2017 Christmas Show! Get Ready to Come “Home for the Holidays” with The 2017 Christmas Show! The Christmas season will be here before you know it. Soon enough, you’ll hear Christmas Carols wherever you go – in stores, on the radio, or even at home. Most importantly, families will start planning where and when to get together and celebrate. Friends may start scoping out the hottest Christmas parties, or start planning one of their own. These warm, fuzzy memories of time spent together with family during Christmas inspired the AMT original holiday show – Home for the Holidays. Simply put, this show is all about the merriment that comes from spending the holidays with the ones we love. 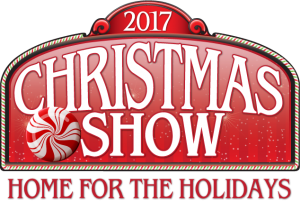 The 2017 Christmas Show runs from November 1 through December 30 with plenty of performance dates and times to choose from. Plan an outing with the ones you love and experience the merriment together! Contact us at 800-648-4102 to book your tickets or reserve them online! The 2017 Christmas Show: Home for the Holidays takes place on a festive Christmas Eve. It’s a show filled with wonder, whimsy, and a world of fun; celebrating many of the traditions we look forward to each year. This live musical experience highlights some yuletide favorite holiday songs – both sacred and secular. You can expect to hear superb musical arrangements backed by the incredible sounds of the AMT Orchestra. Pair that with outstanding singing and dancing, and this show is guaranteed to leave you in the Christmas spirit. Come Home for the Holidays and celebrate the wonder, warmth, and magic of this festive season! When you’re juggling multiple schedules, it can be hard to find a time that works for everyone. With show dates starting in November and plenty of show times to choose from, you’re sure to find the perfect fit for you and your loved ones. During the festivities, the more the merrier! If your group consists of 15 or more people, you can save big on a show you’ll all remember with AMT’s group pricing and packages. Contact us today to reserve your tickets for this holiday celebration!